Christmas is so nearly here and during the winter months having a bath is one of my favourite things to do on a chilly evening. 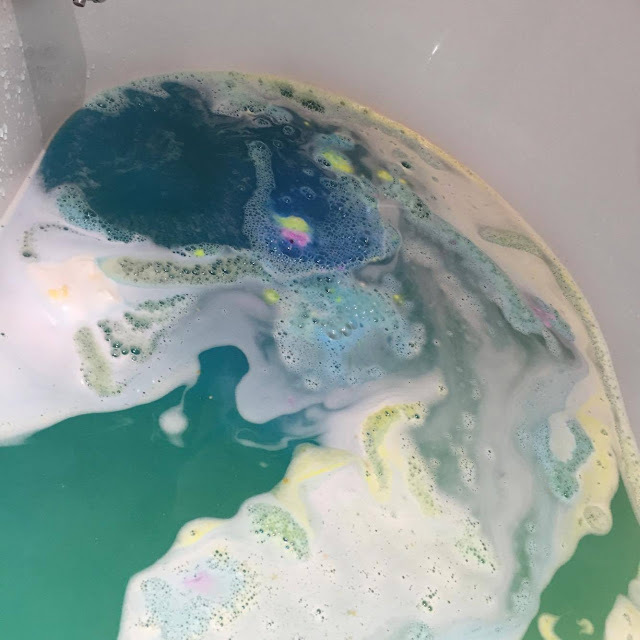 So I popped into Lush and picked up a couple of bath products that I haven’t tried before and I thought it would be fun to share my thoughts on some of them on here. "Happiness is a gift and the trick is not to expect it, but to delight in it when it comes in all its exquisite, sweet orange and lime oil glory. Dickens might not have been on about the surprise parcel of lustre and cognac oil that’s ready to unfurl and create bathtime splendour, but he’d have been just as thrilled by it." To start this is huge! It also smells amazing. 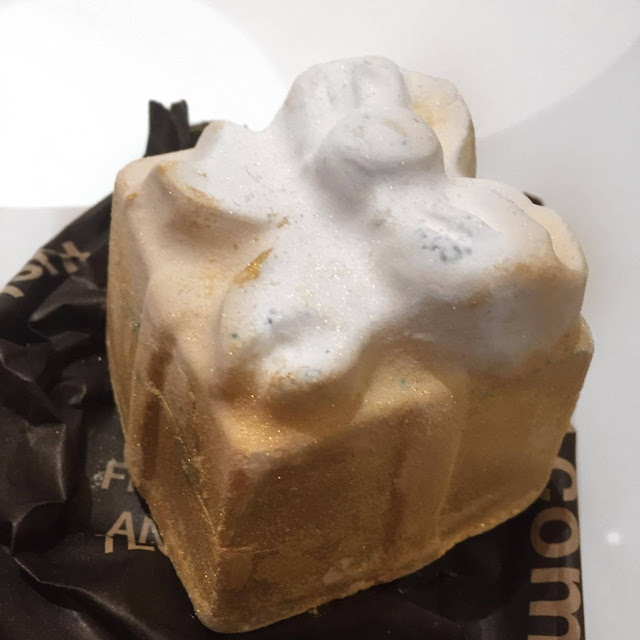 It’s a fresh scent that has a citrus under tone and I also felt it had a slight peppermint smell to it, however there are no mint based ingredients in it. 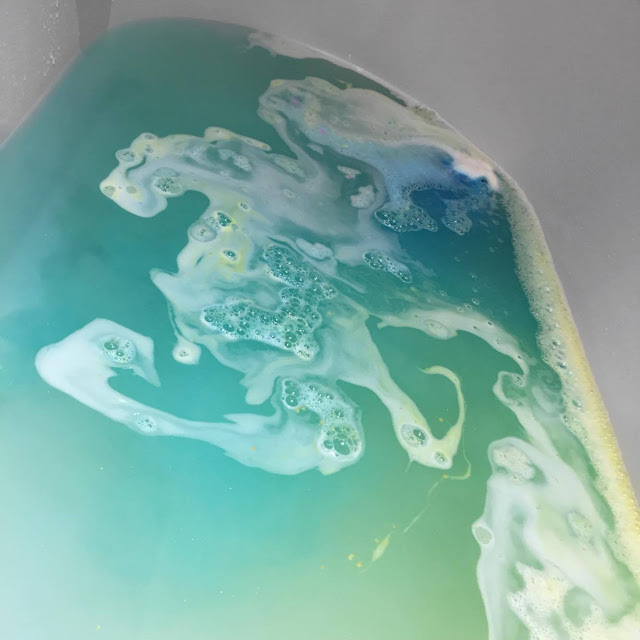 When it comes to throwing in the bath it is an explosion of glitter and colour – something that was unexpected as its not got an overly colourful outside. 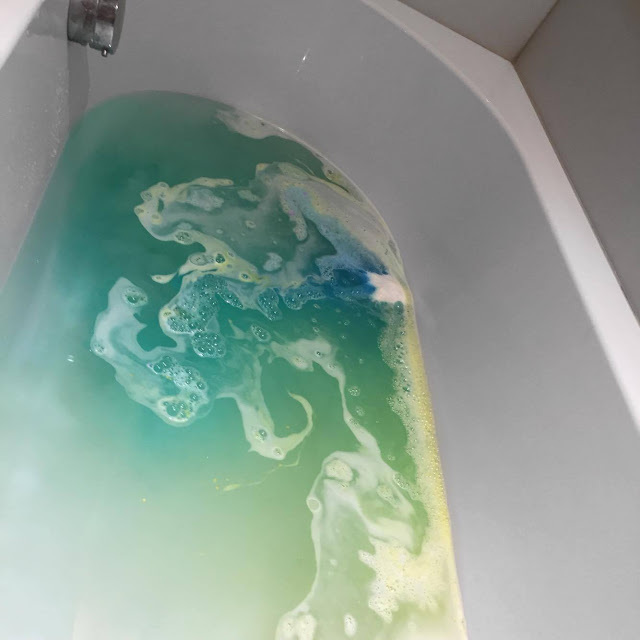 It starts to turn the water a beautiful light turquoise colour before deepening into a deep blue and then it even gives out a little pink as it comes to an end. The final surprise are the cute little stars that the bomb releases which end up floating on the surface of the water. 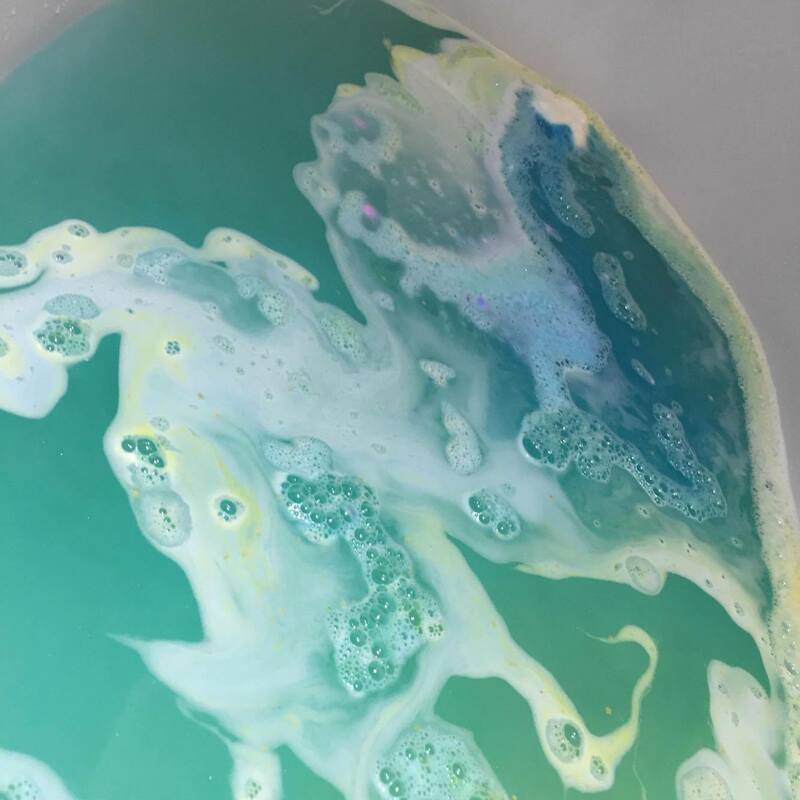 Once in the bath it is super silky and makes my skin feel really nice and soft. The glitter also leaves the skin with a lovely sheen which would be perfect if you were getting ready for a bit of a party, however you don’t always want to be covered in glitter so it does wash off easily with a little shower. 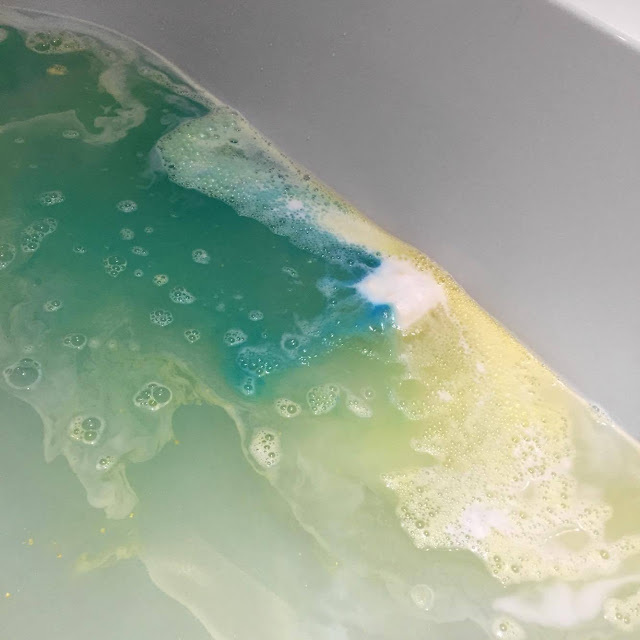 The only downside to this is the glitter as it does leave a film on the bath that does seem slippy if you don’t wash it off immediately. That being said this is such a lovely bath bomb and perfect for this time of year as well as a gift. 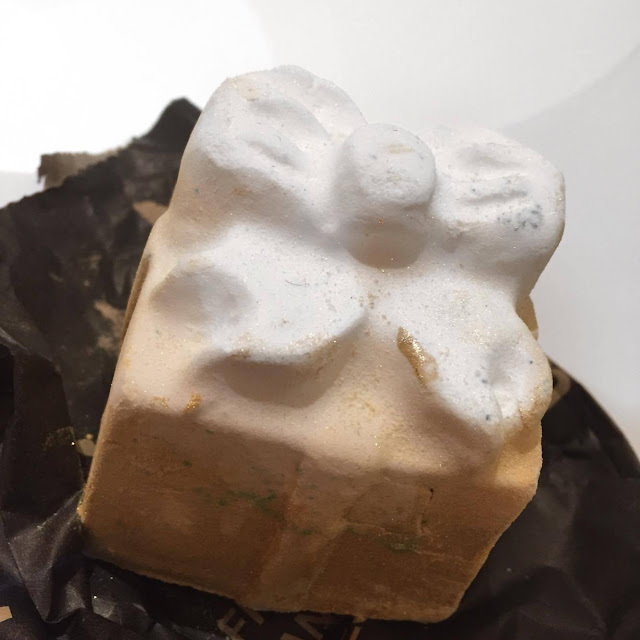 I picked this up from the Oxford Circus branch however you should be able to find this in all Lush shops as well as online. It retails at £4.50 so a slightly pricy bath but you could easily cut this in half to make the most of it. Let me know if you have used golden wonder before and what your thoughts are? 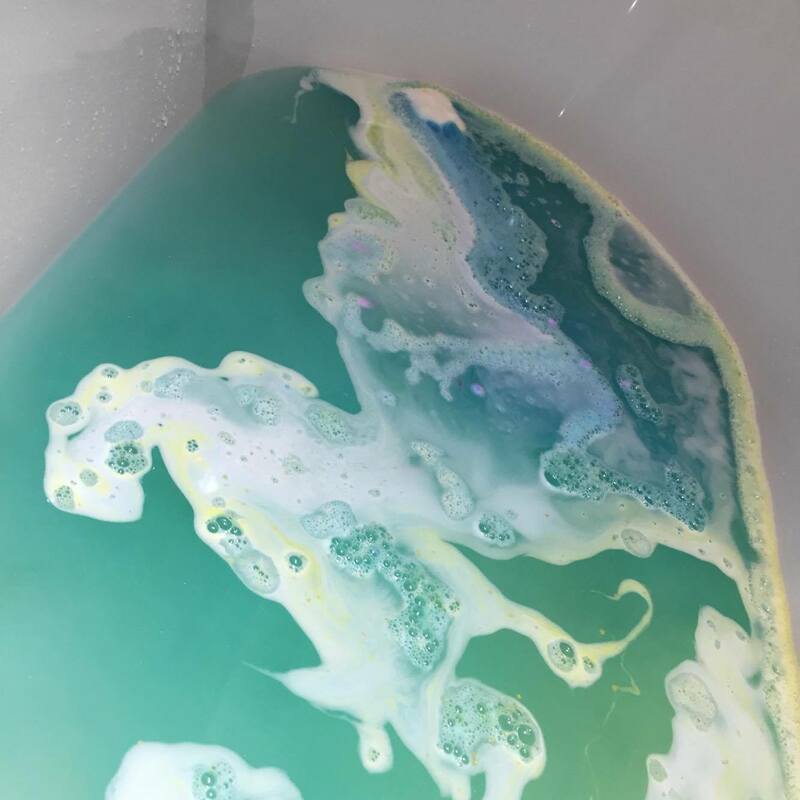 Also let me know in the comments what your favourite Lush products are? Make sure you are following this blog so you are notified of when each new post goes live everyday, you can follow by subscription or follow me on bloglovin. You can also keep up to date with what I’m up to over on my twitter and Instagram profiles, or if you fancy come and chat over on my Facebook page.